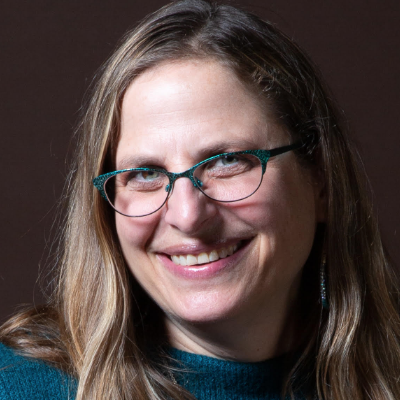 Neshama Carlebach said that as she got ready to deliver her June 12 talk at Congregation Emanu-El, her first impulse was to scream and run out of the room. The number of women victimized by her father over the years is not known; many who traveled in his circles estimate it was in the hundreds, or higher. The charges ranged from sexually charged late-night phone calls to overly long, inappropriate hugs with teenage girls that sometimes ended with him ejaculating. Many of his accusers live in the Bay Area, but given his reach and how much he traveled, others are scattered throughout the country and beyond. His family members had never spoken about these allegations until Neshama Carlebach took the plunge this year. 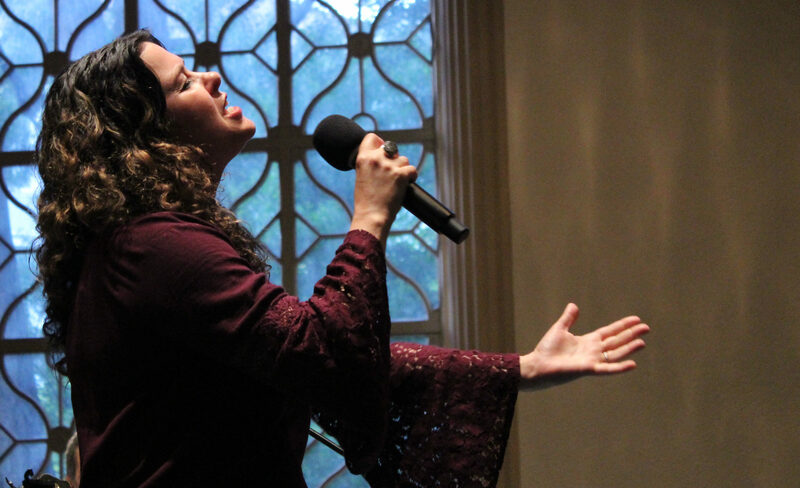 A musician who has built her career on performing her father’s music and serving as a standard-bearer for his musical legacy, she says her singing career has suffered from the fallout surrounding her father, including a recent push to ban his music from synagogues. If his music isn’t sung, she told the crowd, neither is hers. Her own family opposes her speaking out, she said. 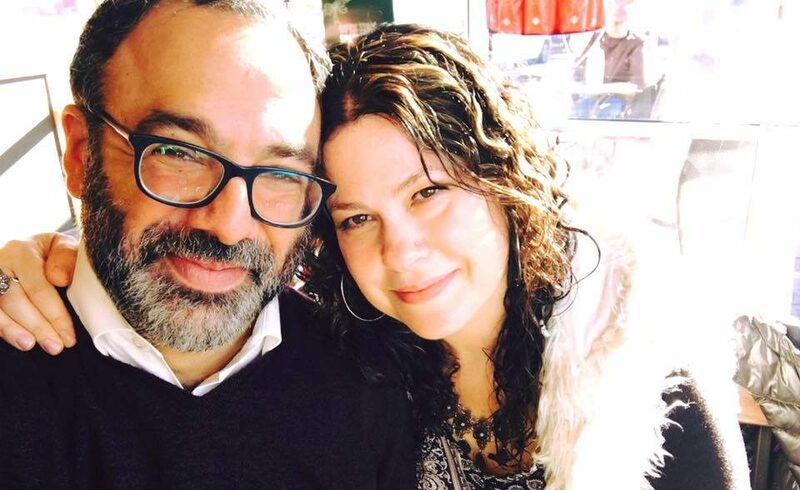 Neshama Carlebach lives in New York, where she is engaged to Rabbi Menachem Creditor, who recently left Berkeley’s Congregation Netivot Shalom to join her. He sat in the front of the sanctuary, silently offering his support, as she faced the crowd seated with her close friends Cantor Marsha Attie and Rabbi Sydney Mintz of Emanu-El, and Rabbi Ken Chasen from the Leo Baeck Temple in Los Angeles, who were there to back her up on guitar and sing with her, and offer their support as well. No one knew what the evening would bring, or how far the daughter would go in condemning the father. She implicitly accepted the premise that he had abused many women, but did not address specific accusations. “The intention tonight is to create new beginnings, to come to a place not of conclusion but of opening for healing,” said Mintz. “We’re part of a tradition that is based on teshuvah and reckonings … we are not only people who have been hurt, but everyone here has hurt themselves or another. 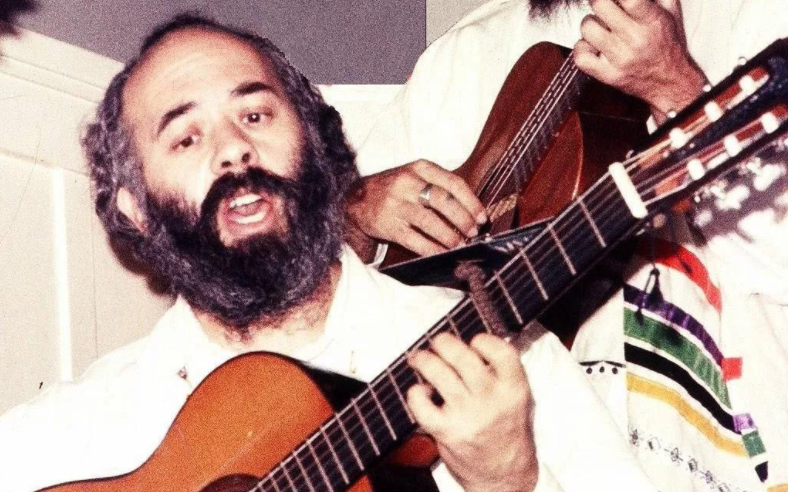 Shlomo Carlebach was born in 1925 in Berlin. He fled Nazi Europe with his family in 1939, landing in the United States, where he attended strictly Orthodox schools in New Jersey. In 1949 he became one of the first Chabad emissaries, reaching out to Jewish students on college campuses, but he soon left his position — and the Chabad movement — over Orthodox Judaism’s required separation between men and women. He insisted on women singing in public and mingling with men in spaces where Orthodox tradition held they should not. A talented musician and charismatic spiritual leader with thousands of followers, particularly in Jewish Renewal circles, his music today is ubiquitous in synagogues of all stripes. His death roiled the Renewal world, leading to what some called a cult of veneration around the man. But a 1998 article in the feminist Jewish magazine Lilith detailed numerous stories from women who said they and/or others had been molested by the powerful and popular rabbi, most when they were quite young. The reverberations from that news — and his family’s silence — continue today. The Lilith article might not have happened without Renewal Rabbi Lynn Gottlieb. Now the youth and family director of Congregation Chochmat HaLev in Berkeley, Gottlieb reported to the magazine that some 20 women had shared their stories of abuse with her. Gottlieb chose not to attend Neshama Carlebach’s talk this week, but she talked to J. beforehand. “I would hope she says, ‘My father was a predator, he assaulted hundreds of children.’ She doesn’t have to apologize, but she does have to say the truth, and she could certainly express empathy for the victims.” Indeed, she did express that empathy and admit the truth of her father’s abuse. Abigail Grafton, a Berkeley psychotherapist and longtime lay leader of Aquarian Minyan, one of the first Renewal communities, had similar hopes for the evening. She had witnessed the division caused by the original Lilith article (in which she was quoted) between those who sided with the women bringing charges and those who couldn’t bear to hear such things about a revered figure. The conversation resurfaced within Aquarian Minyan this year after Neshama began speaking out, as members debated whether they should stop using his music. Yet at the same time, she said, as much light as her father brought into the world and into her own life, there were downsides to being his daughter. She shared that at age 9, she was molested in her own bed by a rabbi who was one of her father’s friends. When she told her father, he didn’t believe her. She also told the audience a painful story about when she saw her father with new eyes. She was 15, and it was Shavuot. They were walking in the streets after staying up all night studying on the holiday when they came upon a homeless man in an alcove. While no one else noticed him, Reb Shlomo, as he was known, stopped to have a conversation with the man. As the group moved on and reached a corner, Reb Shlomo left the group and came back with a huge tray of chicken for the man. Then, after leaving him again, he went back and gave him his coat. Then, he told his daughter, “Go hug him.” As Neshama recounted, “the man grabbed me and wouldn’t let go. My father said he was proud of me, but at that moment I saw the boundary-lessness of his life. Let’s change this, and even while we cry about it, let’s sing, and let’s talk about it. She spoke about how she became disillusioned with Orthodox Judaism, feeling that as a woman she didn’t matter. She also spoke of her divorce, which contributed to her being ostracized from the Orthodox world. “I know nothing about everyone else’s pain. I can barely ingest my own,” she said. “There are many things I’ve been through and this moment is by far the worst, but I believe I have something to give. While that gift may not be perfect, and you may take offense, or you may not like my perspective, I love you anyway. One of the few who did speak up that evening was Rabbi Sara Shendelman, who with her then-husband helped found Chochmat HaLev and led it for many years. Twenty years after the original Lilith article appeared, she says she is still being contacted by women, perhaps because of her role in having challenged Reb Shlomo directly. As recounted in the 1998 article, and as she retold it at Emanu-El, her Rosh Hodesh women’s group had been discussing the allegations for months and agreed they must confront Carlebach with what they knew. But when the time for the intervention came and Shendelman said, “Shlomo, the real reason we brought you here is to discuss your inappropriate conduct with women,” the other women all remained silent, leaving Shendelman to speak to the rabbi alone in another room. Shendelman said that all of her life, she feels she’s been called to speak truth to power. Yet it’s never easy, she said, admitting that her heart was pounding as she stood to face Neshama. Then the two women embraced. Grafton said she has invited her to sing at the Aquarian Minyan. Neshama Carlebach told her she has not been welcome in Jewish Renewal circles as of yet, but one day, she would love to come.